After a great Fathers Day Breakfast, we took a Scenic ride along Route 3, thru small towns and into Bar Harbor and the area known as MDI - Mount Desert Island. Bar Harbor was busy with tourists, even though we are a week early than the official season here. Bar Harbor Towne will definitely be a "shopping destination" in the next few days for the girls. We continued along to Seal and Northeast Harbors, both just as picturesque areas, with less crowds. 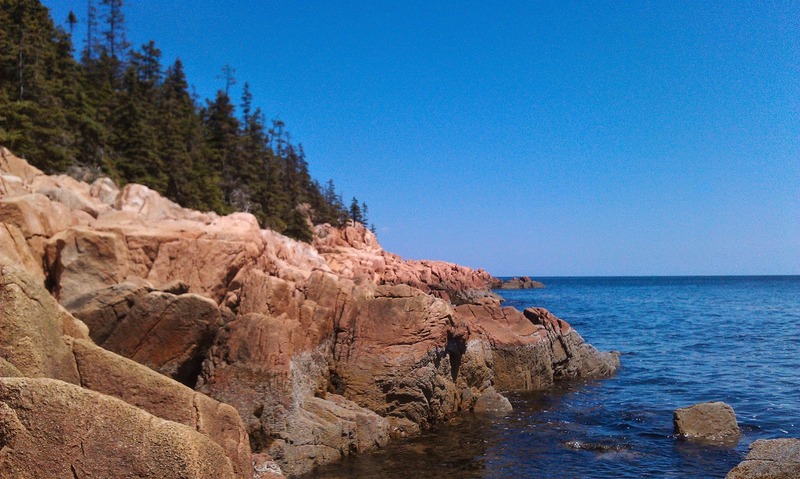 On most of our trips, we try to see interesting rock formations, or visit lighthouses. Here we can do both in the same place! 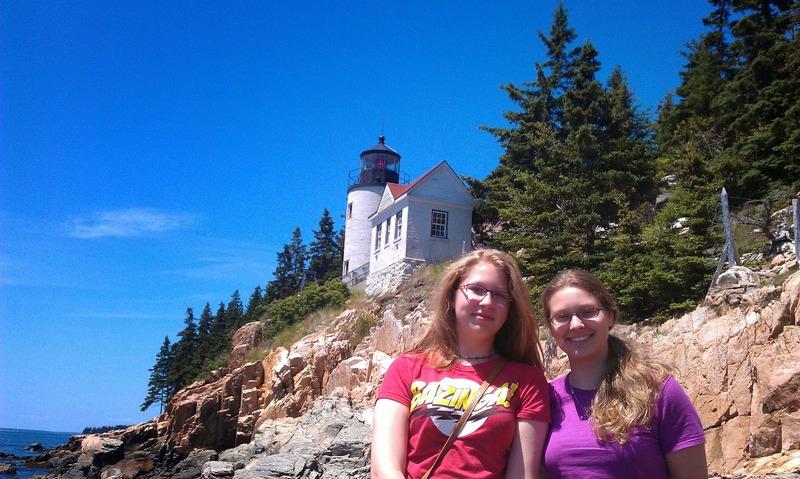 We passed thru Bass Harbor, and saw signs for the lighthouse. We took the short steep steps to the rock outcroppings to get a better view of the lighthouse. 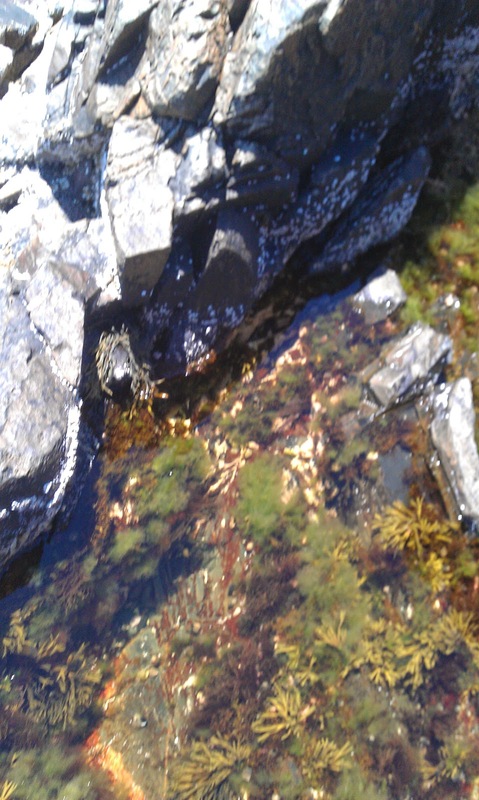 Girls and I climbed down the rocks to check the tidal pools. The water was amazingly clear, and we could see plenty of snails, and sea grass, but not much other marine life.We were a bit apprehensive of sticking fingers in the sea grass or crevices, so other things could have been hiding. The girls have been having more luck in the tidal pools by our campsite. Snails, mussels and crabs have been easy finds for them there. The Coastline of MDI is beautiful, rugged, and peaceful. Easily can understand why it has inspired writers, presidents, and others to preserve it as one of Americas Treasured National Parks. "dog friendly" We'll need to checkout another Lobster Pound in the area. We headed home - for dinner, a little napping, some cable tv, and checking in at work. Chilly night - and lots of stars!. We'll sleep well tonight.